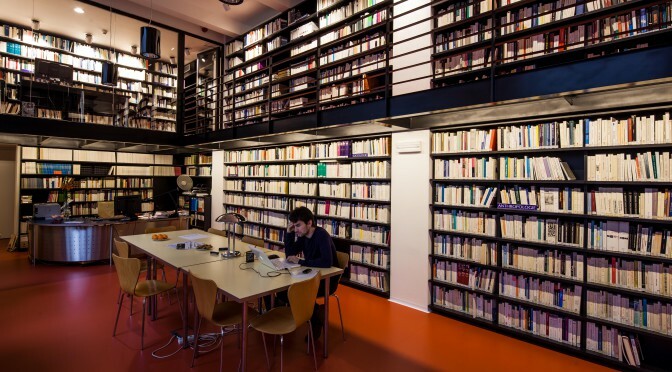 The CEFRES library presently holds more than 6,000 monographs in free access in its public reading room. It provides access to French databases of publications specialized in the human and social sciences (see below). New acquisitions are published on a regular basis in the rubric New Acquisitions. Our periodical collection holds around 100 titles. Between 1994 and 2012, the CEFRES library used to analyse the articles of the 60 French periodicals to which it suscribed, leading to the constitution of a database of a 15,000 references. The database is part of the Library catalogue. Membership is free of charge. External members are entitled to use all the services of the Library, including borrowing privileges. The library is equiped with a Wifi connection. Workstations are available. The library is open from Monday to Friday, from 9 am to 5 pm. It is not available when lectures and workshops are held at CEFRES (see our Calendar and follow us on Facebook and Twitter). CAIRN: CEFRES library subscribes to Cairn–French database of articles in the social sciences and humanities recently published in full text (unlimited access only on site). PERSÉE: Free-access and full-text database in the social sciences and humanities. REVUES.ORG: A platform of electronical periodicals in the social sciences and humanities, mostly free-access. For more, see our website Actualités en SHS on Netvibes. All books and periodicals can be borrowed but reference books, which can only be consulted on site. Loan period: 1 month, renewable. To renew a loan, reserve a book or suggest an acquisition, please write at: claire@cefres.cz. CEFRES library is part of an interlibrary network with the Czech Republic and France in the social sciences and humanities. Part of postal charges are billed to the readers. Fees: 350 CZK a monograph, 500 CZK for 2 monographs borrowed in the same library, 650 CZK for 3 monographs borrowed in the same library. Our librarian is committed to providing readers with the best guidance in their research in the social and human sciences in France and Central Europe and to answering their bibliographical questions.